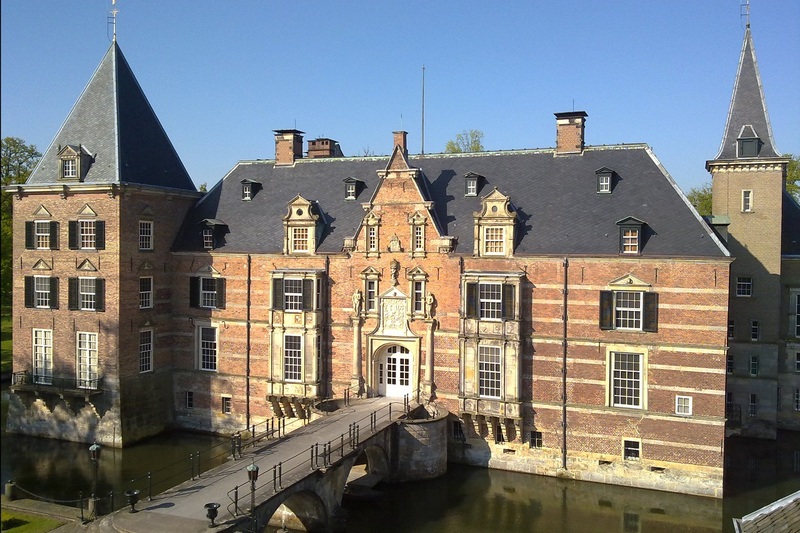 Twickel estate is one of the largest in the Netherlands and covers more than 4,000 hectares. Since 1347 Twickel has been in the possession of the families Van Twickelo, Van Raesfelt, Van Wassenaer Obdam and Van Heeckeren van Wassenaer. 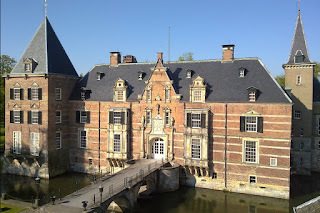 The last private owner Marie Barones Van Heeckeren van Wassenaer, born Gravin van Aldenburg Bentinck (1879-1975), transferred the entire estate to the Twickel Foundation in 1953, but with the stipulation that the castle should remain inhabited. Her grandnephew Christian Count zu Castell-Rüdenhausen moved to the castle, which is now inhabited by his son Roderik. Eldest ancestor of the Castell family, Rupprecht Count zu Castell was mentioned between 1190 and 1223. The two sons of his descendant Georg II Count and Lord zu Castell (1527-1597) divided the possessions in the lines Remlingen and Rüdenhausen. Of which the latter got extinct in 1803. The brothers Albrecht Count zu Castell-Castell (1766-1810) and Christian Friedrich Count zu Castell-Rüdenhausen (1772-1850) are the founders of the two existing lines. Both lost their sovereignty in 1806 to Bavaria. The heads of both lines were created a Fürst on 7-23-1901 by the King of Bavaria. 26. Hilbrand Reinier Hendrikus Gerhard Talens * Uithuizen 29-11-1881+ Apeldoorn 25-10-1939; Eigenaar Talens & Zn.